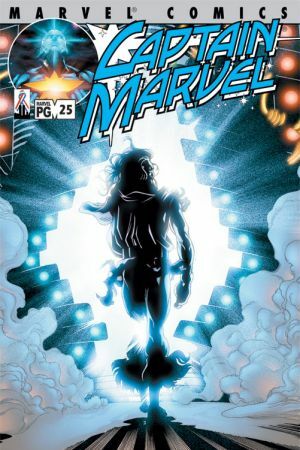 It's the long-awaited return of Rick Jones' wife, Marlo. 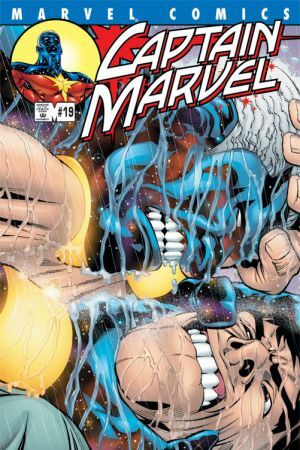 But her arrival may not be the upbeat event Rick had been hoping for...especially when the first thing she attempts to do is annihilate the new Captain Marvel! 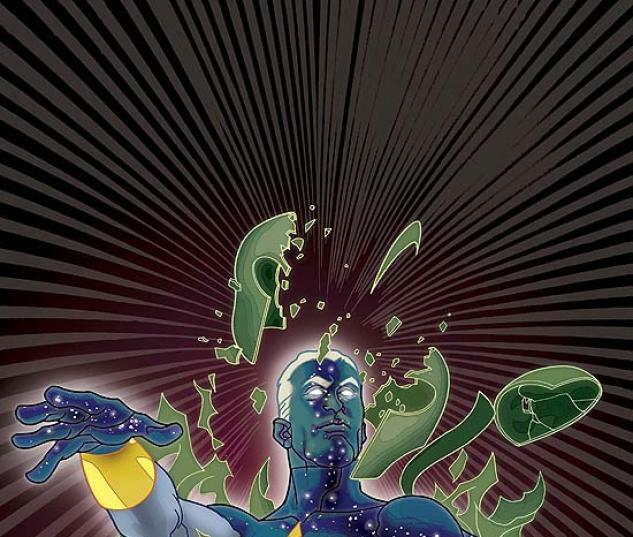 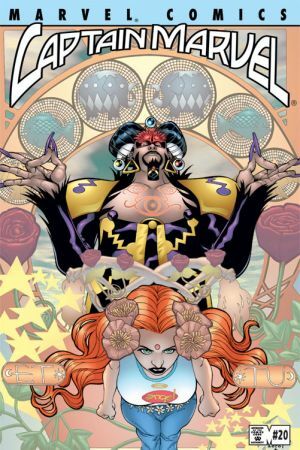 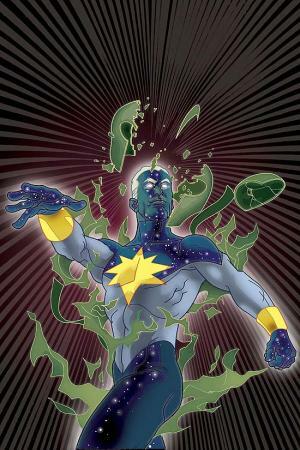 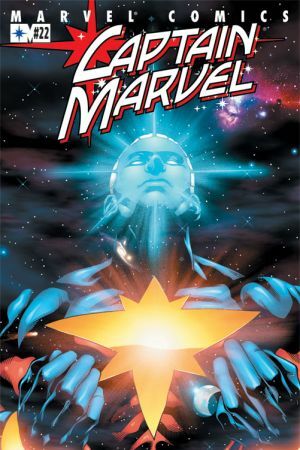 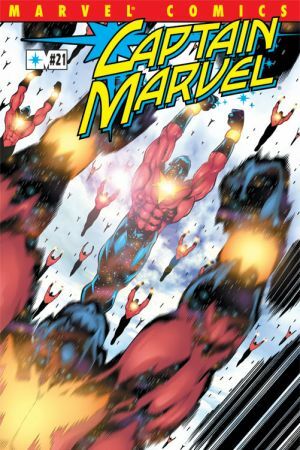 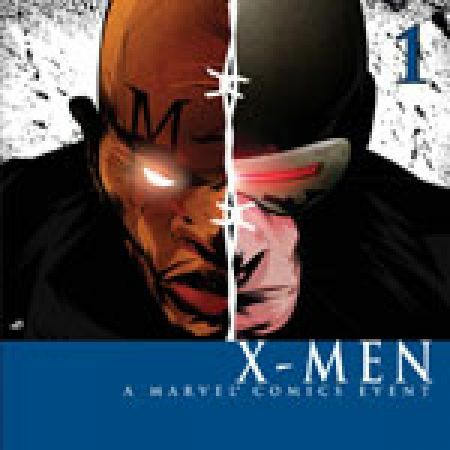 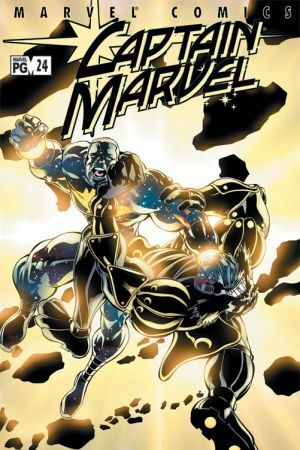 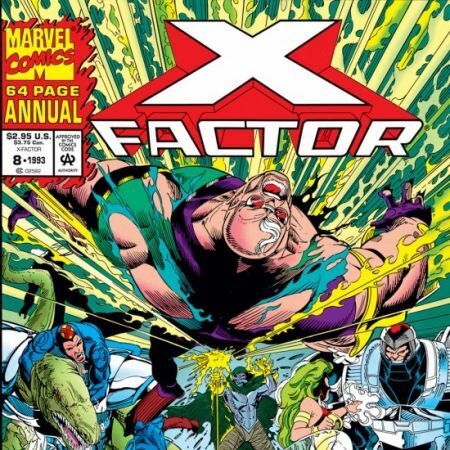 In trying to head off the horrible fate awaiting Marlo, Marv begins an odyssey into the future - where he immediately discovers he's the only being in the universe capable of saving the Earth from a conquering, power-hungry alliance of the Kree, Skrull and Shi'ar!